The Citizen Alliance for Utility Safety – CAUS ! 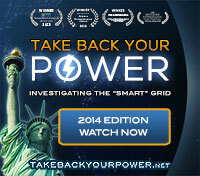 Watch the video “Take Back Your Power” for an in-depth look at the many issues with smart meter technology. https://vimeo.com/120615844 (scroll forward to 8:17 to the beginning of the actual video). Whether your issue is with privacy, safety or health you need to look closely at the need to prevent this technology from infesting our community.